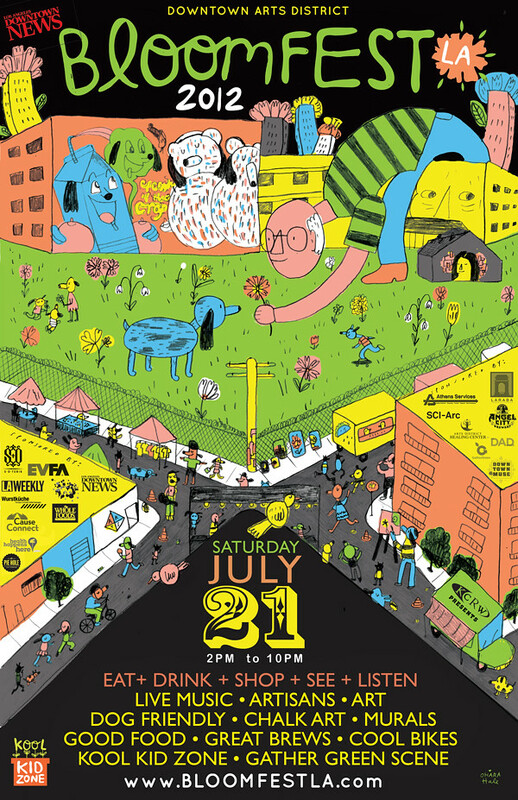 Bloomfest LA happening July 21… the biggest Downtown Arts District Festival! The annual Bloomfest is tomorrow, July 21 from 2-10pm. There will be tons of indie bands, beer gardens, djs, and DIY arts/crafts market in the heart of the Arts District at Traction and 3rd Street. Bloomfest is looking at over 20,000 attendees this year! It’s going to be huge and fun. The Poketo store is right in the thick of it, we’ll be open extended hours tomorrow from 11am to 10pm. The Bloomfest is free, come on down and explore this awesome area of Downtown LA!